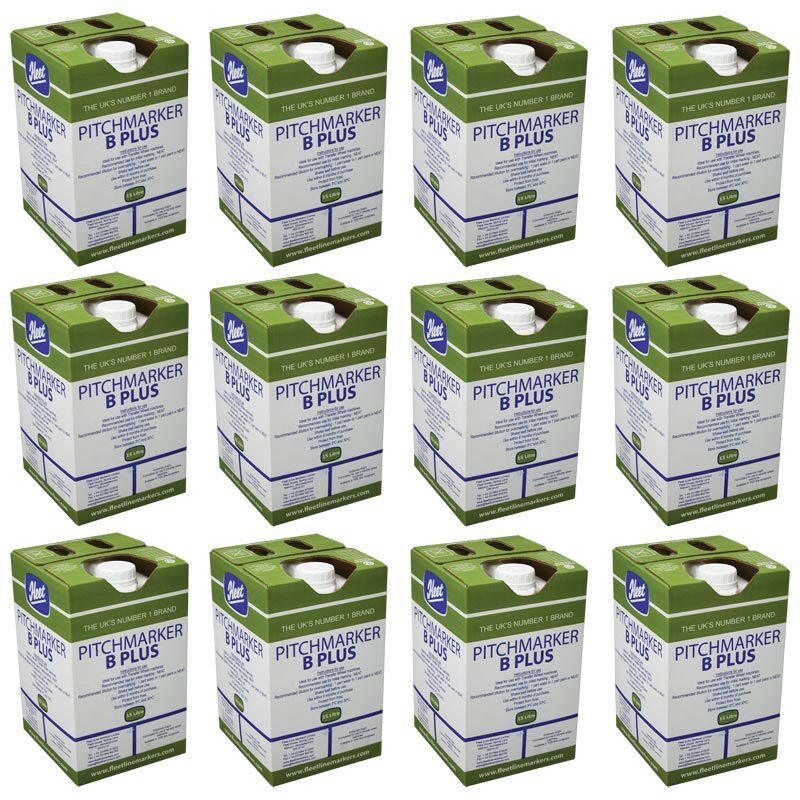 Fleet Pitchmarker B Plus Line Marking Paint 12 Pack is a durable paint concentrate ideal for use with transfer wheel line marking machines. Fleet line marking paint combines excellent value with bright, durable results. Perfect product for wheel to wheel transfer line marking machines. Very bright, rain resistant and long lasting. Recommended for use on grass only. Can be used neat or diluted 1:1 paint to water ratio. Coverage if used neat - 1 pitch. Recommended use for inital marking - Neat. Recommended dilution for overmarking marking - 1 part water to 1 part paint, or neat. Use within 6 months of purchase. Protect from frost and store between 5-30 degrees C.